Do you need technical assistance? I agree to the storage of my data in Bodet Campanaire's databases so that it may contact me in future and offer me solutions and services. The box must be ticked. 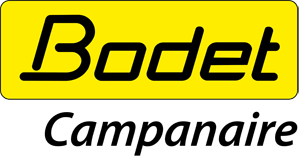 Your personal data will only be used by BODET CAMPANAIRE for the purpose of contacting you. It will be stored until you unsubscribe. You may exercise your rights to access and edit your data by writing to the following address : commercial@bodet-campanaire.com.